It’s been a little over a year since two Mount Royal University professors were killed in a crash outside of Calgary and according to the Transportation Safety Board (TSB), no one will ever know exactly why. In a report released following the TSB’s investigation, it was found that the aircraft, a Tecnam P2006T, entered a spin for “unknown reasons” while performing a stall-recovery exercise on Feb. 13, 2017. “The instructor and trainee recovered the aircraft from the spin, but insufficient altitude remained to recover from the ensuing dive,” the TSB said in its report, which was released on Feb. 22. Unable to recover the plane, the crash killed pilots Jeffrey (Jeff) Bird, 35, and Reynold (Reyn) Johnson, 64. The accident occurred shortly after 5 p.m. — just 30 minutes into the flight — and 60 kilometres northwest of the Springbank International Airport. Bird had 10 years of experience with the military and was an instructor in the air force before he came to Mount Royal. Johnson was also an incredibly experienced pilot, logging in over 20,000 flight hours in 15 different airplanes. After the crash, MRU temporarily suspended all flight training while the two remaining Tecnam P2006T aircraft were examined for any damages, although none were found. MRU also purchased two Piper PA 34 Seneca aircraft which the university now uses for training in multi-engine planes. The aviation program has brought in a number of safety changes since the crash, including raising the minimum altitude at which pilots perform maneuvers to 4,000 feet above the terrain. As well, the program is looking at new technology that would allow for tracking safety as accurately as possible along with an online reporting system for students and instructors to self report safety issues. There is also the potential for installing in-flight cockpit recorders. 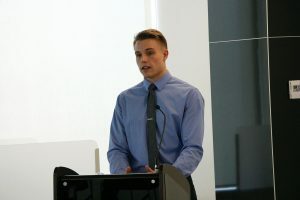 “We will not know exactly what happened with this accident, but what that does do is it makes us more committed to enhancing our safety operation and it means we will be spreading a very broad net to make sure that all safety aspects of our program are looked at (and) reviewed,” said Elizabeth Evans, dean of MRU’s faculty of business and communication studies, which includes the aviation program. Two plaques in honour of Johnson and Bird have been set up in the university’s hangar at Springbank International Airport and on campus. The tributes include two model airplanes purchased by the aviation students to honour each pilot. Brendan Martin, aviation student executive president said every day the program students see the plaques, it brings a smile to their faces. “Both these two gentlemen left a lasting impression on both professional and personal lives here at Mount Royal and it’s really important for us, moving forward, that we remember them through our shared passion of aviation,” said Martin. Martin added students were prepared that they may never receive answers as to why the plane crashed, but the best way to honour both instructors is to get back into the cockpit. “For us, definitely as students, we hope that this report is able to bring some kind of closure to the families, to their friends and to us as an aviation community,” he said.